The essence of the fabulous Le Mesnil terroir, this dry champagne is crisp angular, long refined and just so elegant. A very refined aperitif with huge aging potential. 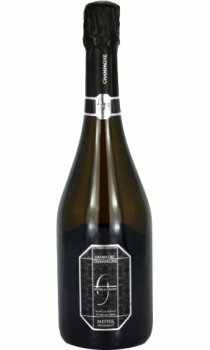 Domaine Andre Jacquart are a family owned Champagne house based in Vertus on the Cote des Blans. It is run by brother and sister team Pierre Jacquart and Chantal Doyard-Jacquart, assisted by Chantal's daughter Marie. Andre Jacquart is world renowned for their brilliance with the Chardonnay grape. The wines made here tend to be elegant, graceful and classic in style. Nose: extremely complex with lime blossom, brioche cinnamon and ginger. Palate: full and silky. Pure with perfect minerality. The finish is long and refreshing. Grape variety :100% Chardonnay from Grand Cru vineyards from the Le Mesnil sur Oger terroir. This champagne was aged for 8 months in barrels and vats an got light filtering. No malolactic fermentation to maintain a maximum of freshness Bottle fermentation followed by ageing for 3 years in the cellar. Settling of the wines after disgorging: between 3 to 12 months. This Champagne that will completely blow you away!